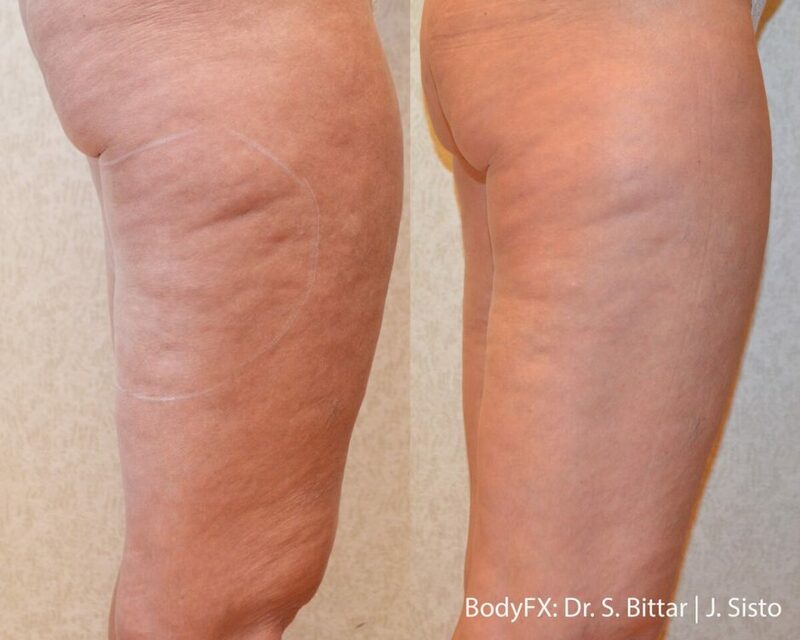 BodyFX Fat Reduction & Contouring laser treatment uses a combination of different clinically proven modalities including radio-frequency energy, deep tissue heating and suction coupled negative pressure. The radio frequency energy distributes heat to the skin and underlying fat, causing the tissue to heat and contract. The vacuum and controlled energy work synergistically to provide body contouring results. 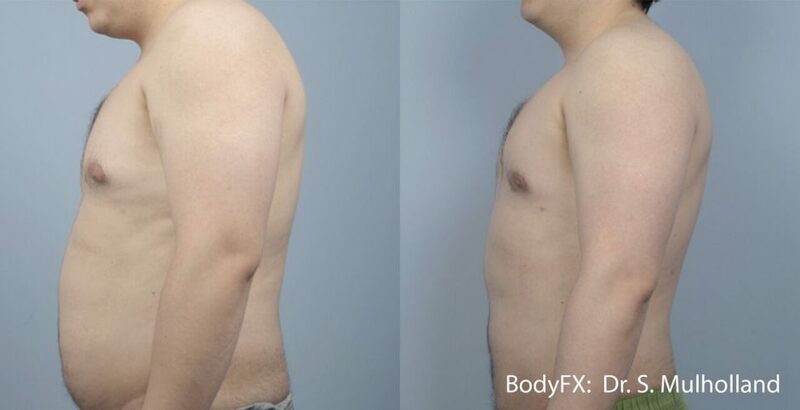 BodyFX uses a combination of different clinically proven modalities including radio-frequency energy, deep tissue heating and suction coupled negative pressure. The radio frequency energy distributes heat to the skin and underlying fat, causing the tissue to heat and contract. The vacuum and controlled energy pules then work synergistically to provide beautiful body contouring results. Most users find BodyFX comfortable. During treatment you can expect a warming sensation as the radio frequence and vacuum work to smooth out unwanted stubborn pockets of fat.